Son Heung-min joins Bento’s Korean national soccer team. January. 15, 2019 07:37. by Yun-Cheol Jeong trigger@donga.com. Key Korean soccer player Son Heung-min of Tottenham Hotspur has joined the Teresa Bento-led Korean national soccer team, which vies for the Asian Cup in 59 years. He is strongly determined to achieve victory, leaving behind his heart-breaking memories of shedding tears after the loss to Australia four years ago at the final round. “I have been looking forward to the games. I will play my role and do my best for my country,” he said. Expectations are rising that Son will help open up an offence channel in the third tournament round with China. Equipped with excellent shooting skills, Son may help boost the team’s goal finishing. He has achieved 12 scores throughout this season in EPL. He has even recorded a goal in the penalty area by passing with other two teammates and rushing toward the goal. 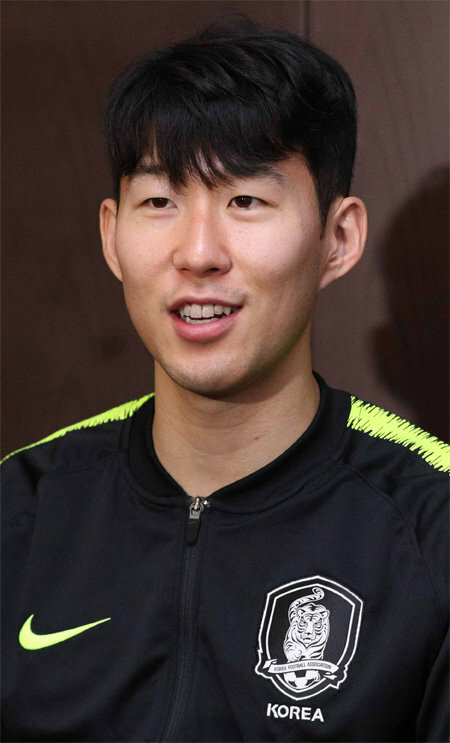 KBSN commentator Kim Dae-gil said that Son has grown to utilize cooperation with other players and such a merit can make a difference in the Asian Cup. He added that if a defender focuses on Son, other Korean players may have much chance to score, or if Son is not followed by any defender so closely, he can rush and shoot for a goal. At earliest, Son is expected to join the third tournament round with China, according to which the first ranking team is decided in Group C. Korea can avoid a match with Iran, a competitive team which stands to top Group D, at the quarterfinal only if it defeats China. The key lies in how endurably Son can play during the game. In fact, he played as many as 13 games for 43 days from Dec. 2 last year through to Jan. 14. Korean soccer team coach Teresa Bento said that the team has to improve on offence capacity, adding that he will decide when Son joins the team after keeping a constant check on his status given that the player has played well in Tottenham.